Whether we are talking about wintertime or the heat of summer, it’s essential that you’re able to keep your home comfortable no matter what time of the year it is. However, you shouldn’t have to drain your wallet to feel that comfort. Did you know you could be paying far too much on your heating and cooling bills? By following these tips, you can help boost your HVAC efficiency for year-round comfort and savings. Your ceiling fans aren’t just there for looks—well, at least, they shouldn’t be. They aren’t just there for summertime, either, even though a lot of homeowners believe this is the case. You see, by reversing the direction in which your ceiling fan blades rotate (with a flip of a little switch on the fixture itself) you can benefit from these systems in the winter, too. How does this all work? In the summertime, ceiling fans don’t actually cool the air. Rather, they help distribute cooled air throughout your home. By reversing the direction of the fan’s rotation in the winter, so it spins clockwise, you can help force heated air trapped at the ceiling back down into the living space where it will do the most good for you. This helps take some of the strain off your HVAC systems. Today’s residential buildings (and commercial buildings, for that matter) are sealed up pretty tightly. This is done for your HVAC efficiency. However, homes can develop air leaks over time, through drafty doors and windows or even damaged ductwork. In some cases, the insulation installed to prevent unwanted heat transfer has degraded. Whatever the case may be, by taking steps to reduce this heat gain/loss via weather stripping, air sealing, or insulation upgrades, you can boost the efficiency with which you cool and heat your home. After all, as we alluded to above, even the most efficient HVAC system can’t operate at its best when its hard work is literally going right out the window. Without this service, there really is no mystery as to why your HVAC system is performing inefficiently. During maintenance, our technicians thoroughly inspect, clean, and adjust your HVAC system, also alerting you to any needs for repairs. If you get these repairs on your schedule right away, you’ll be less likely to run into a major HVAC breakdown, and your system will work more efficiently. Maintenance should be scheduled once a year for your heater, and the same for your air conditioner. 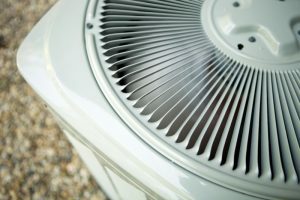 We typically recommend that these maintenance sessions be scheduled before you need the system the most—so in the fall for your heater and right about now for your air conditioner. Have you scheduled your spring AC maintenance appointment yet? For professional AC and heater service in Albuquerque, NM, contact Roadrunner Air Conditioning, Heating & Refrigeration. « previous post: Late Winter Is No Time to Ignore Your Heater!